It is that time again. Time for a new edition of Books You Loved. The September edition. As per usual, just put your links in via Mr Linky below. My favorite book read within the last month was Swamplandia! by Karen Russell. It was Russell's first book and was a finalist for the Pulitzer Prize - very well written and a very unusual story about a Florida family and their theme park. Highly recommended. I really like your blog, Carole. I'm a new follower! :) Thank you for your follow of my blog as well. Carole, love this idea - I am always looking for a good read - I linked my blog page for the past book review at cathys's - I will do more of these so will keep this in mind! Well, this is my third month contributing here. I see it is becoming habit-forming. Sorry, Carole. You may need to delete #10 & #11 above. I finally got it right after 2 tries. Per your suggestion, here's a second book for your consideration: Moment of Truth by Lisa Scottoline. Enjoy! I am so happy I found Books You Loved. Thanks for including one of my recommendations! I'll add some links to the linky for this month soon. Thanks for inviting me to join in. 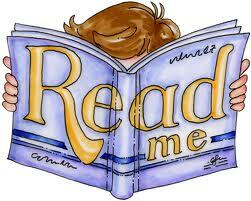 I review books on my blog as well, so be sure to check it out. Just added a couple of great reads for September. Happy reading everyone! Hello, Carole. Thanks for visiting SlingWords. I'm happy to provide the link to my review of Wendy Tokunaga's Falling Uphill. Lovely book. This is my first time and I think I messed up, sorry! What a fun linky!! Thanks for inviting me over! A book I've just recently read which I really enjoyed was Dirk Gently's Holistic Detective Agency by Douglas Adams. Any fans of The Hitchhikers Guide To The Galaxy should enjoy it as it has the same unique sense of Douglas Adams weirdness about it. And this looks like a really cool blog. I think I jumped in too quickly though and messed up by putting my own name rather than the book name so apologies. Carole, does the blog post need to have been written in September, or may I pull something older for the link? Loving the book I'm reading now but am not quite done with it. Carole came over and left a comment at my blog and asked me to post my link for the book I LOVED for the September Edition! Here it is! "Slammed" by Colleen Hoover! I could NOT stop reading it! LOVED it! OMGosh!! Wow! I am #31 in the Linky above if you'd like to read the review! Thanks, Carole, for inviting me to post this link to my review here! This is a GREAT monthly feature you have! Looking forward to many MORE months of this! Back for another month and following on pinterest too! I do love this feature. I may have not titled right this month, as I missed off my book title - The first time I saw your face by Hazel Osmond. I loved Princess Academy: Palace of Stone. Just left a link. Would recommend it to anyone and everyone! I really enjoyed Jojo Moyes The Girl You Left Behind luckily didn't need the tissues this time ! My favorite book read in September was Henry and Clara by Thomas Mallon. I loved this book! :) Thanks so much, Carole. Carole, I linked Blacklisted from the PTA by Lela Davidson. Thanks for the invitation! Just linked my review of Debutantes! Carole, thanks for stopping by my blog. If I ever pull another oldie from the archives to post here, it would make more sense to re-post as a new entry it in order to have comments open. TypePad does not permit comments after a certain amount of time goes by.